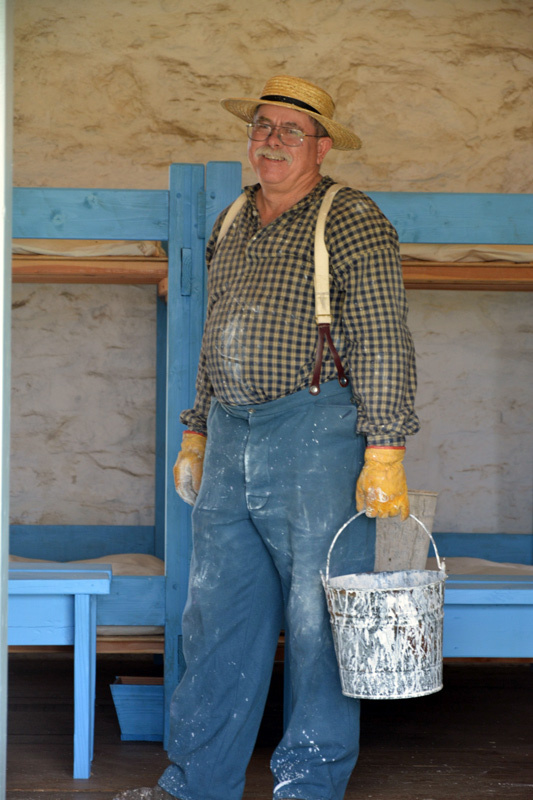 Fort McKavett State Historic Site has been a veritable 19th century workshop during the last few months. 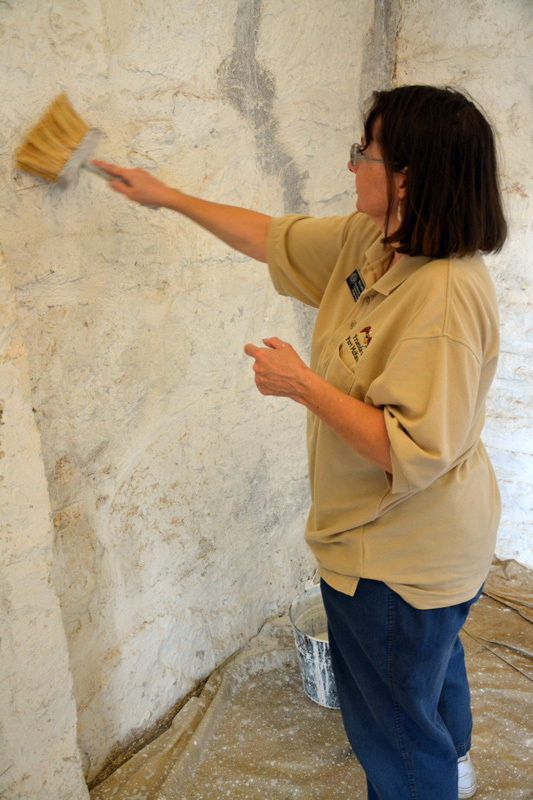 In partnership with volunteers from around the state, the staff of Fort McKavett has hosted two different historical trades programs in and around the buildings of the historic frontier post. 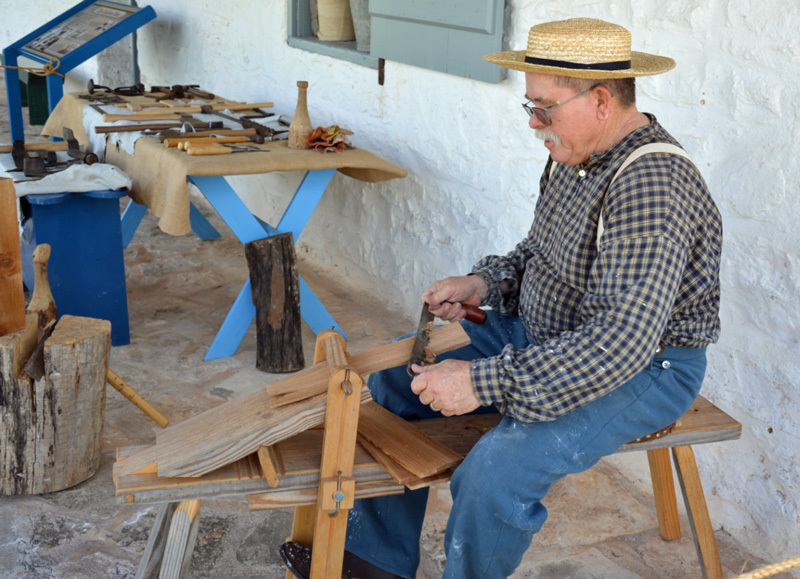 On June 6, the fort was once again transformed into a display of period trades. 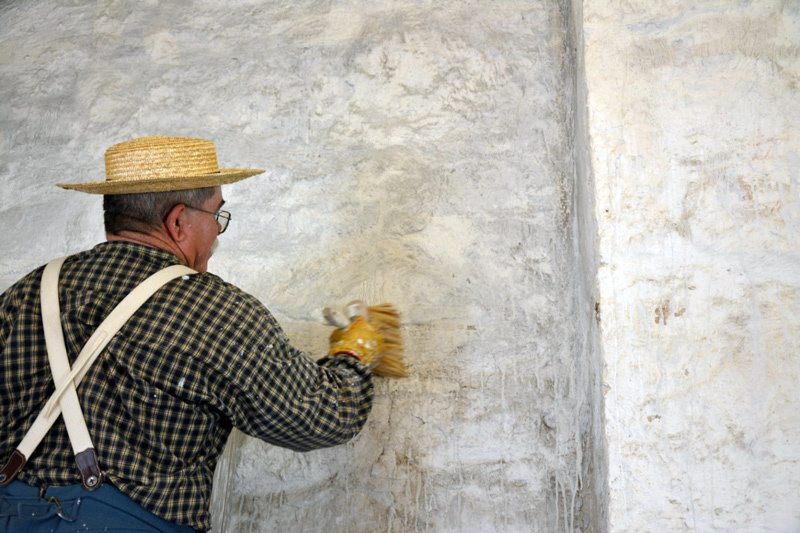 The event, “Hard Work and Hand Tools,” was run entirely by site staff and primarily featured an interactive event that focused on whitewashing walls. 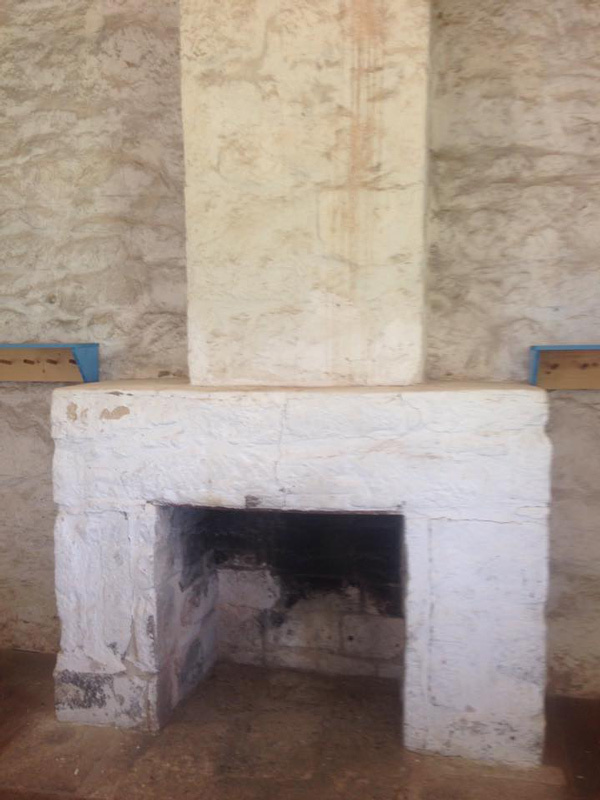 The walls in Barracks #4 were fading and flaking, and the fireplace on the south end was covered in streaks that ran all the way to the mantle. 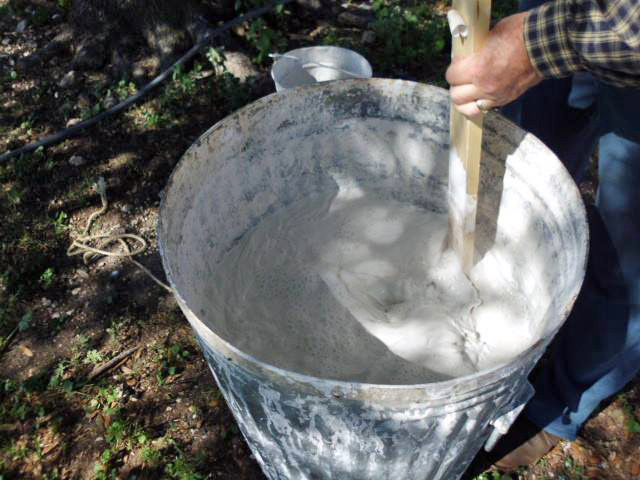 Earlier in the week, site staff mixed up a large container of whitewash, which is simply a combination of water and hydrated lime. This is not like painting; whitewash is very thin and has to be slathered on in copious amounts to produce the desired effect. 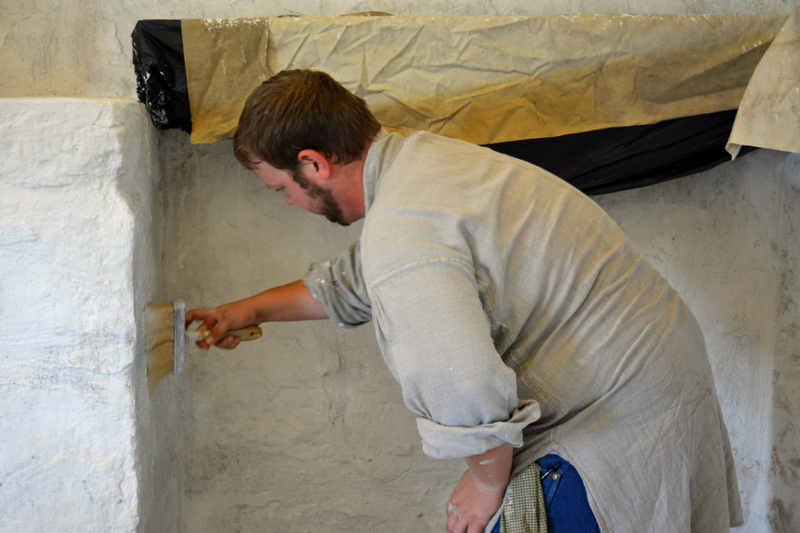 During the program, visitors were encouraged to try their hand at this method of covering the walls. 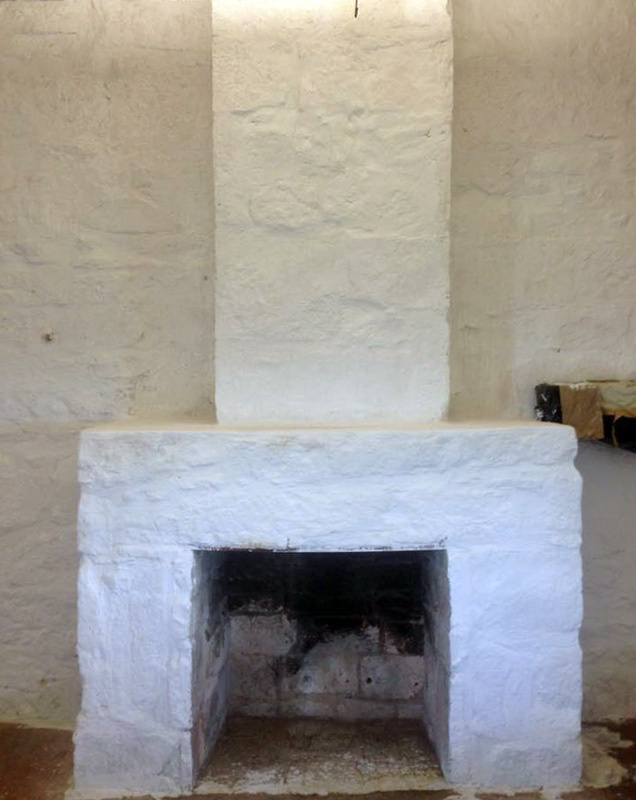 The end result was that the fireplaces on either end of the 1850s barracks were restored to their spectacular flat white color with no chips or imperfections visible. Larry Trimble, head of maintenance and one of the site’s interpreters, also had a display of his personal (and extensive) carpenters’ tools from the 19th century. A good time was had by visitors, volunteers, and staff members during the event, and we are looking forward to continuing programs like this in the future. A very special thanks to our friends and volunteers for providing the pictures! 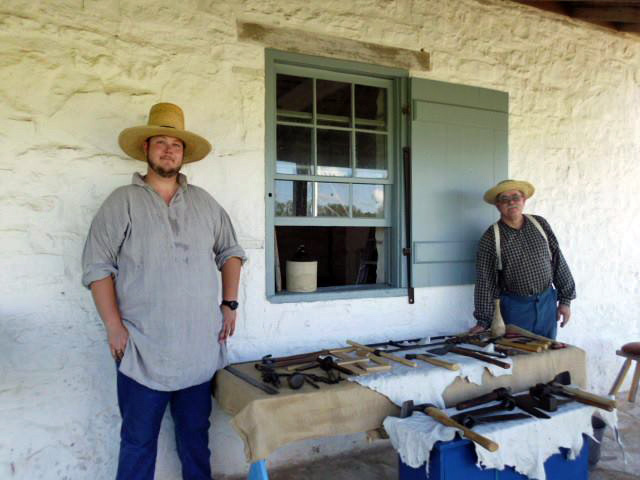 For more information on upcoming events at Fort McKavett, be sure to visit our website at www.visitfortmckavett.com and like our Facebook page. We recently launched #FirstHandFriday (#FHF), where staff members post interesting or relevant firsthand accounts of Fort McKavett from primary sources written during the fort's operation. If you would like to follow along, simply like us on Facebook! 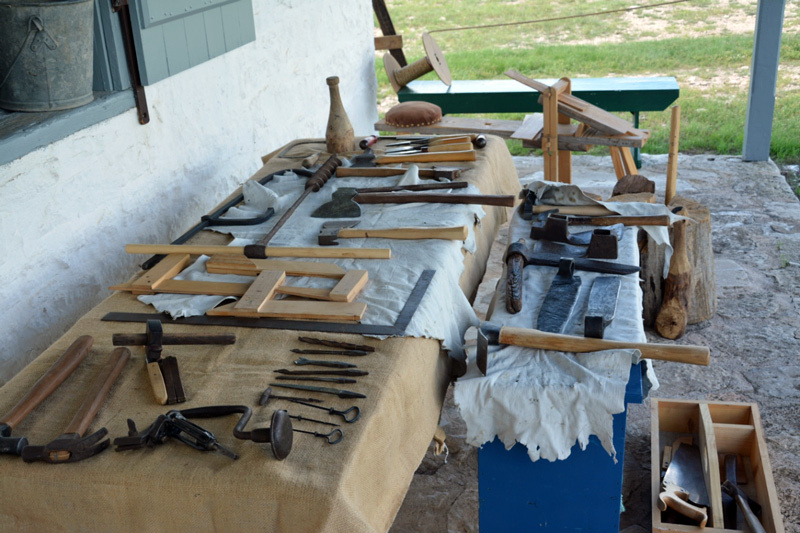 Display of 19th century carpentry tools used during Fort McKavett’s construction. Hey, this is very nice and informative article and please keep posting the amazing article like this so thanks for sharing with us.